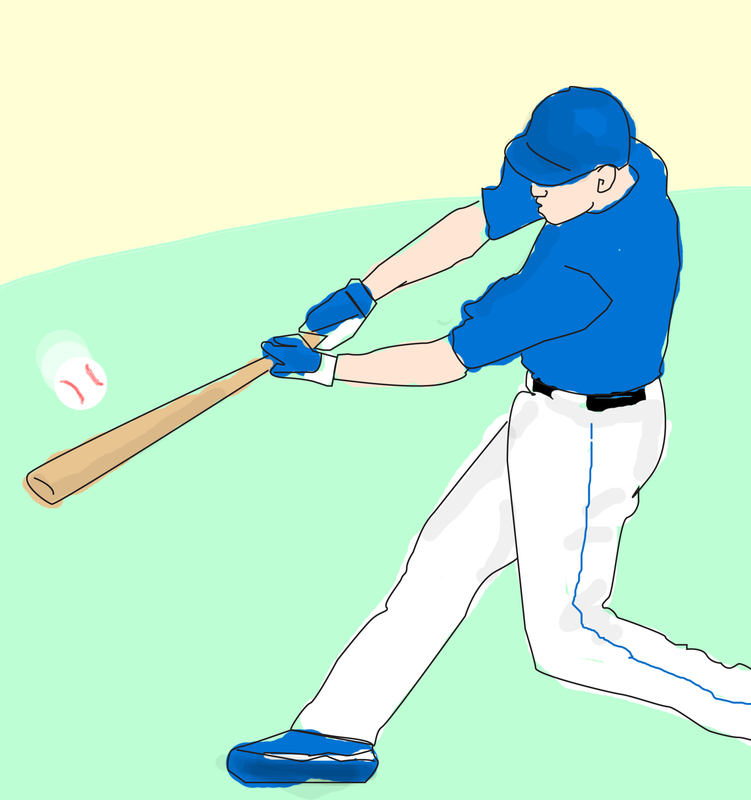 For baseball fans, October is the arrival of the MLB Postseason. For Canadian fans, this year may be something to gloss over, as the Toronto Blue Jays were unable to punch their ticket to the postseason. Here are all the teams that did make it to the October dance. 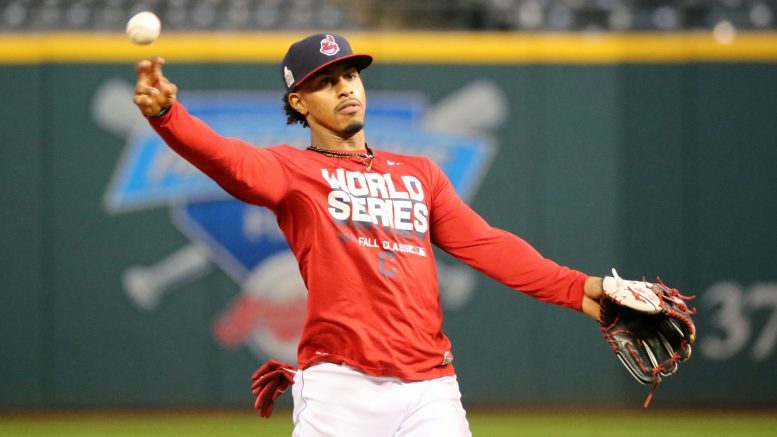 The team from Cleveland came so close to taking home the 2016 World Series but blew a 3-1 series lead to the eventual champions, the Chicago Cubs. The addition of Edwin Encarnacion has been as advertised; he’s swatted 38 home runs and drove in 104 runs. They also have a healthy Carlos Carrasco who was injured throughout the 2016 postseason, and he’s a weapon that adds more firepower to a great starting rotation that has Corey Kluber putting up Cy Young numbers. You probably heard about Cleveland in the news due to their historic 22-game win streak. During that win streak they outscored opponents 142-37 while boasting a 1.58 team ERA. The Astros are back in the postseason after missing the chance to make back-to-back appearances in 2016. A high-powered offence possessing the likes of MVP candidate Jose Altuve, young stud Carlos Correa, and under-the-radar star George Springer, the Astros ended the 2017 season with highest wRC+ and the most home runs. After a dismal 2016 campaign, lefty Dallas Keuchel ended the regular season looking like the same one that won him the AL Cy Young in 2015. Supporting him is late-season acquisition Justin Verlander, who himself has won not only the AL Cy Young but the AL MVP in 2011. On top of that, he’s also thrown two no-hitters in his career. He’s a strikeout pitcher, and to put this title into perspective, in just five starts he has 43 strikeouts under his belt. Keuchel has 125 in 23 starts. With the departure of David Ortiz last year, it ended an era that many in Boston held in the highest regard. A key piece of power gone, it was up to the young talent of the Red Sox to step up and pick up the slack. Mookie Betts and Andrew Benintendi did just that, showing the baseball world Boston is here to stay despite Big Papi leaving. It wasn’t just the bats that helped Boston get here, however. Offseason trade acquisition Chris Sale came to play, and to win. He put up numbers that landed him an All-Star designation as well as placing him in Cy Young consideration. Craig Kimbrel also showed he has no signs of slowing down, saving 35 games and putting up a 1.32 ERA. Relatively speaking, the offense of the Red Sox is less than great compared to the other postseason teams, but as long as they can support their great pitching staff, there should be no worries for Boston. The Yankees haven’t finished a season below a .500 win-loss percentage since 1993, and 2017 wasn’t going to be the year that it finally happened. The obvious story here is the meteoric rise of rookie Aaron Judge, whose numbers have placed him as the likely AL rookie of the year as well as consideration for the AL MVP. Not only did he break Mark McGwire’s rookie home run record, but also Babe Ruth’s record for most home runs in a Yankees season. All of this has nearly overshadowed the rest of the young talent the team has to offer. There’s catcher Gary Sanchez who also possesses superstar home run power, and two promising starting pitchers Luis Severino and Jordan Montgomery. The hard-throwing closer Aroldis Chapman returned to the Yankees in 2017 after being traded in 2016 to the Chicago Cubs and subsequently winning a World Series with them. Chapman has been helpful in offsetting the struggles that fellow reliever Dellin Betances saw at times during the season. Thought to be sellers more than buyers at the July 31 trade deadline, the Twins dealt away Brandon Kintzler who was thought to be one of the top closers on the market at the time. What followed was a steady pace of second-half success for the Twins. At times they fell out of the second wild card spot but eventually cemented themselves there near the end of the season and punched their ticket back to the postseason for the first time since 2010. It is also the first time a team has made the playoffs after losing more than 100 games the season prior. The Twins are a mix of veterans, such as Brian Dozier and Joe Mauer, and youngsters, such as Miguel Sanó and José Berrios who complimented the team nicely to help them get to the playoffs. This is the fifth season in a row that the Dodgers are both back in the postseason and the champions of their division. But that’s all set to the wayside as they would much rather not have this be their fifth season in a row of disappointment. They have never made it to the World Series in each of their first four appearances since 2013, nor have they won a World Series since 1988. Perhaps this season will be different. An amazing offence that possesses likely NL rookie of the year Cody Bellinger, last year’s NL rookie of the year Corey Seager, and All-Star Justin Turner, who has maintained his production since he arrived in 2014. What may be the biggest surprise is Chris Taylor. Having never hit a home run in the majors and stuck playing triple-A ball in 2016, he smacked 21 home runs and drove in 70 runners since being called up in 2017. Of course, all eyes will be on Clayton Kershaw this postseason, who has been there for the four disappointing appearances. A three-time NL Cy Young winner and also an NL MVP in his trophy case, the only thing that’s missing is a World Series ring. The Nationals are now back-to-back winners of the NL East division title and are back in the postseason. They lost a close five-game series to the Dodgers last year 3-2, and will hope for a different outcome this year against the reigning champions, the Chicago Cubs. One of the biggest stories this season for the Nationals was their abysmal bullpen, and they attempted to address the problem by dealing for Oakland’s closer, Sean Doolittle, and Minnesota’s closer, Kintzler. It seems to have worked so far and they can only hope this compliments the 1-2 punch in their starting rotation in Max Scherzer and Stephen Strasburg. At the plate, superstar Bryce Harper will be hoping to help bat his team to the past the ALDS, alongside the talents of Trea Turner and Daniel Murphy. On paper, this Washington team looks very good, but it remains to be seen what will happen in the postseason. It took 108 years, but in 2016 the Cubs finally won a World Series, a long time coming for the faithful at Wrigley. Now, the Cubs will be looking to replicate their success this postseason and defend the crown with essentially the same roster from last year. Things were shaky at the beginning of the regular season, with a less than expected record by the end of the first half. Chicago picked it up in the second half, relegating Milwaukee’s postseason hopes to the wild card. The Cubs have an offence that boasts six 20-plus home run hitters during the regular season, with rookie Ian Happ joining a squad that already has a plethora of young talent in Kris Bryant, Anthony Rizzo, Javier Baez, and Willson Contreras. The departure of Chapman in the offseason, seemed to have no noticeable effect, as Wade Davis has been more than enough to help fill the closer’s role for the Cubbies. After trudging through five seasons of mediocre and eventually abysmal, non-postseason baseball, the Diamondbacks are back in the postseason for the first time since 2011 with a team that looks extremely dangerous. The D-Backs’ placement as a wild card team understates how good the team has played this year compared to previous five seasons. Starting pitcher Zack Greinke, who was signed away from the Dodgers in 2016 has looked like the same pitcher that had him placed second to Jake Arrieta for the NL Cy Young in 2015. Paul Goldschmidt, now that his team is winning, is finally getting the recognition he deserves for the numbers he’s been consistently putting up since 2012 and has effectively placed himself in NL MVP consideration. Perhaps the biggest piece of Arizona’s success in getting back to the postseason has been July 18 trade acquisition, J.D. Martinez. Affectionately called “Just Dingers”, a play on his initials, he’s done just that. Since joining Arizona he’s hit 29 home runs, and on Sept. 4 had a historic night of hitting four home runs in a game. To put it into perspective the rarity of such a feat, he was the 18th player to do so, while 23 pitchers have thrown perfect games. Just dingers, indeed. After a dominant first half to the season, the Rockies started to slow down during the second half of the season and nearly had their wild card spot snatched away by the charging Milwaukee Brewers. Nonetheless, the Rockies clinched with their third-last game of the regular season, following a Brewers loss. This is their first postseason appearance since 2009, as well as their fourth straight wild card clinch in the four appearances they’ve had in the postseason. The offence has always been the bright spot for the Rockies, with third baseman Nolan Arenado putting up great numbers alongside Charlie Blackmon. Both combined for 74 home runs, 233 RBIs, and putting up a WAR of 12 in 2017. What has been impressive about the pitching was that, for the first half of the season where the Rockies built most of their momentum, their starting rotation was led by a crop of rookies. However, Colorado will probably lean on Jon Gray to take the wild card game, who, since August, has tossed a 2.44 ERA in 66.1 innings pitched with 66 strikeouts.